Being born in New York, when did you go back home? My parents wanted the best environment for me to grow up in, up until that point; my idea of Africa was through the western portrayal i.e. movies like Tarzan. So at the age of five I took a summer vacation to Nigeria and came back eleven years later. How was your first experience in Nigeria? It was definitely a culture shock. I had to learn new languages (Igbo and Pidgin) to communicate perfectly with others. Once that was out of the way, I absolutely loved it. I will go back as soon as I am accomplished academically here in the states. I aspire to be one of the leading researchers in cognitive science in Africa. Also I would like to focus on training my fellow Africans in cognitive research. 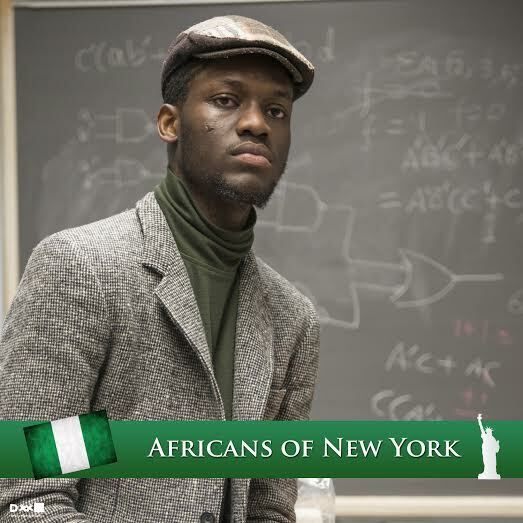 I will prefer to live in Lagos if it had the same higher education standard as we have in New York. I have more freedom back home; I can wake up, go out, and not worry about gunned down by stray bullet or police brutality. But most of all I miss mama puta and iya basiara rice.